Sharing the commitment to pushing the boundaries of design and artistry, Terzani is pleased to announce a special collaboration with Maurizio Galante, who has designed this suspended light. 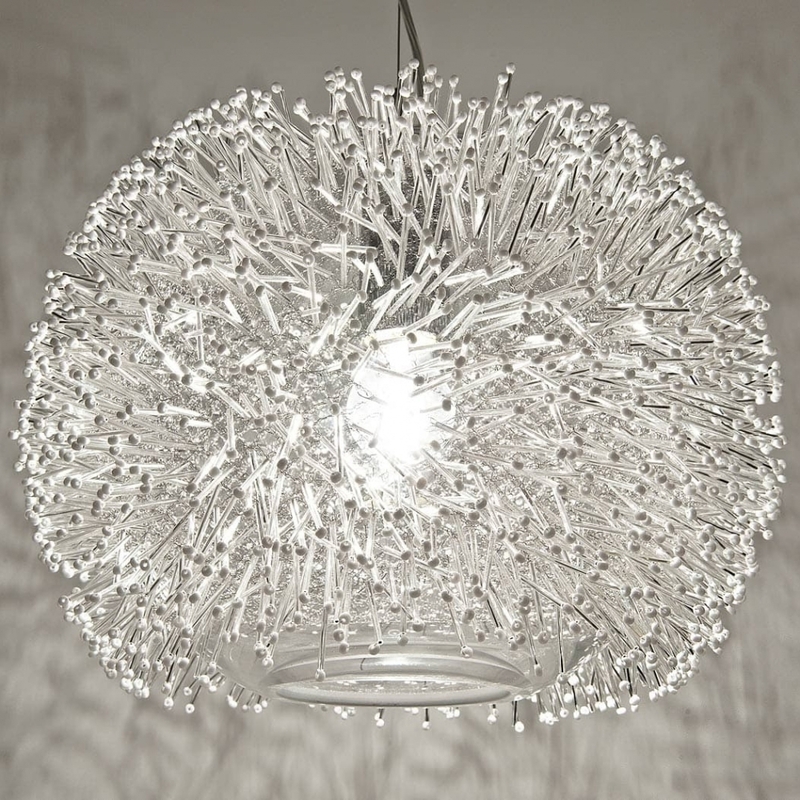 Drawing from the haute couture designer’s unique universe, it features over 1500, translucent crystal “pins” seemingly suspended around the bulb, casting a dynamic shadow around the room. The perfect accessory for your well-kept home, it is available in different finishes in both round and oblong versions.